MPs will vote on Theresa May’s Brexit deal later after she secured “legally binding” changes to it following talks with the EU in Strasbourg. But Labour leader Jeremy Corbyn said the changes were not “anything approaching” what she had promised. It remains to be seen whether MPs will vote for the deal on Tuesday evening. The legal view of the changes taken by Attorney General Geoffrey Cox is likely to be an important factor in the lead-up to the Commons vote. Brexitcast: What happened in Strasbourg? Mrs May is expected to chair a cabinet meeting on Tuesday morning before the motion is debated in the Commons in the afternoon and votes are held in the evening. After talks with European Commission president Jean-Claude Juncker on Monday evening, the prime minister said she “passionately believed” her Brexit deal addressed concerns raised by MPs. Some fear the backstop would keep the UK in a customs arrangement with the EU indefinitely. She said: “MPs were clear that legal changes were needed to the backstop. Today we have secured legal changes. Speaking alongside Mrs May in Strasbourg, Mr Juncker warned if the deal was voted down there would be “no third chance”. Last time Mrs May’s withdrawal agreement was put to Parliament in January, it was voted down by an historic margin of 230. What was agreed on Monday? Mrs May flew to the European Parliament late on Monday with Brexit Secretary Steve Barclay for last-ditch talks. In discussions with Mr Juncker and EU chief Brexit negotiator Michel Barnier, two documents were agreed by all parties. 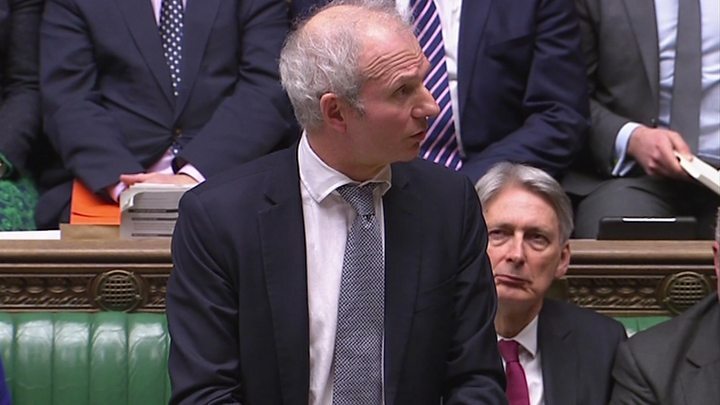 Cabinet Office Minister David Lidington then told MPs the documents would “strengthen and improve” both the withdrawal agreement from the EU and the political declaration on the future relationship. The first is a “joint legally binding instrument” on the withdrawal agreement. 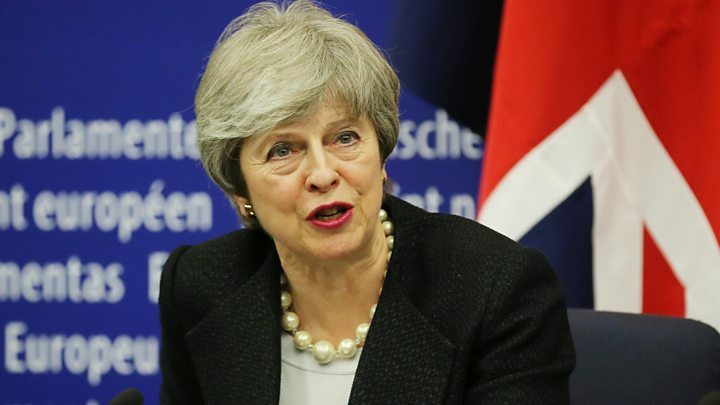 Mrs May said it could be used to start a “formal dispute” against the EU if it tried to keep the UK tied into the backstop indefinitely. The EU has said the backstop would apply temporarily. The second is a “joint statement” which adds to the political declaration – the statement in the deal about the UK and EU’s future relationship. It commits to replacing the backstop with alternative arrangements by December 2020. Another document will also be put forward by the government, known as a “unilateral declaration”. Mr Juncker also warned MPs that they would be putting everything at risk if they voted down the deal. “In politics sometimes you get a second chance,” he said. Labour leader Mr Corbyn urged MPs to vote against the deal when it returns to the Commons, saying the prime minister had “recklessly run down the clock” on negotiations. Meanwhile, Liberal Democrat leader Sir Vince Cable said Monday’s outcome showed the Brexit negotiations were in disarray.